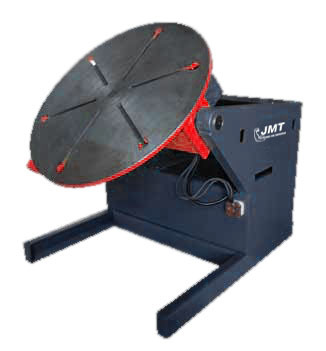 JMT welding solutions, consisting of the best equipment that is capable of meeting the expectations of the sector, have taken place among JMT’s wide range of production options. Our design team have a huge experience in product design and understanding customer requirements for practical, innovative and reliable positioning equipment. Our team can help with one off product designs or turnkey projects. The wind tower, steel construction, chassis, vehicle cabin, pressured container, tank, boiler and bath heater manufacturers, and special pipe, special grinder manufacturers, mining machine factories and dockyards save time and labor with JMT’s Welding Solutions, ensuring the increase of productivity and quality. Therefore challenging problems such as time loss, waste of part, non-penetration of welding and bad aesthetics, which may arise frequently especially in welded productions find solution with JMT Machines. 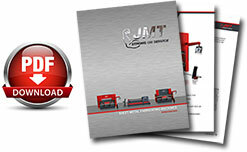 JMT rotators are the best solution for the welding of difficult parts. Without any extra effort and time, rotators can adjust itself for different diameter fixations. JMT manufactures self-aligning rotators up between 3 and 150 tons capacity. •In rotators, Polyurethane covered wheels, prevents the vibration during the automatic welding operation and absorbs the shocks while loading. •In case of high temperature and heavy loading, steel wheels are used instead of Polyurethane covered wheels. •With remote control, operator can turn the rotator clockwise / anticlockwise and adjust the speed as per the preference. The structure of JMT positioners is designed according to turning and frontbackward movement of the table. Positioner consist of frame, motor, table turning system, and front-backward movement systems, electrical cabinet, and remote control unit, and have highest physical protection. The positioners are mounted on to the ground in order to carry heavy parts. There are standard t-slots on rotators as per preferences which enable quick fixing of the part. Table turning and front-backward movement systems are driven with gear transfer systems. Table turning speed can easily be adjusted thru remote controller with 5m cable. As optional, PLC is applicable to all models. "Our Goal: Earn your business for life not just for this sale."